Forged, fabricated, and die formed handbag. 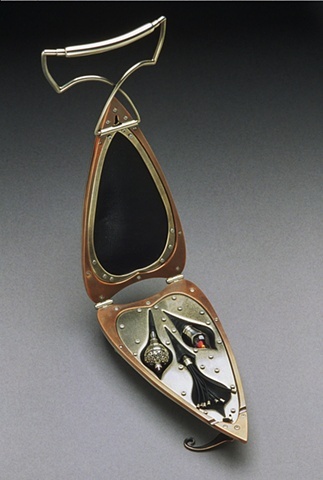 This is a handbag housing three objects, which screw into a main neckpiece. The idea for "Implements for Enticement" is based on superficial behaviors dealing with attraction. The piece appeals to the sense of touch, sight, and smell.